Toronto bans retail sales of dogs and cats! A second city in Canada has banned the retail sale of dogs (and cats too!) effectively ending retail pet sales of puppies and kittens in the city limits. 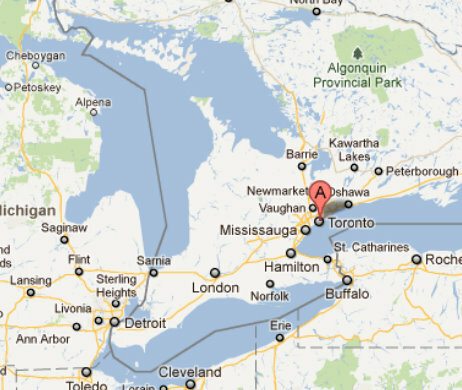 But not just any city, … Canada’s largest city, Toronto, home to more than 2.5 million people. In a move that helps solidify the future of pets stores and the kind of business they can provide in the region, there is no excuse any longer for cities in Canada, the US and across the world to not make this practical and ethical change in their city bylaws. Helen’s favorite quotes from media coverage? “I think we’re the second major municipality in Canada to do this, so that from coast to coast, we’re going to protect dogs across this country,” said a jubilant Councillor Glenn De Baeremaeker, who had championed the partial ban. “Any plans for the weekend?” my coworker asked. “Yes, I’m visiting a pig sanctuary,” I said emphatically. My co-worker’s face displayed curiosity and confusion. “Why do pigs need a sanctuary?” he asked. I said I’d find out. 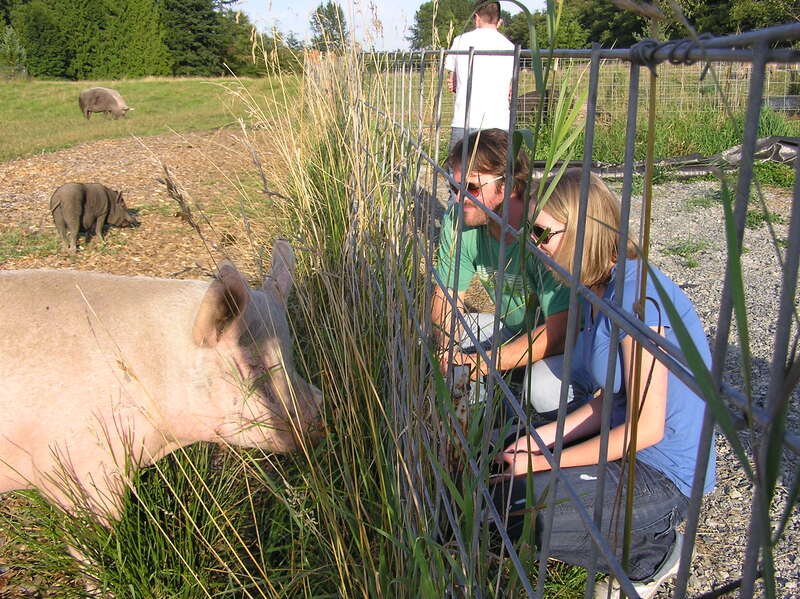 Pigs Peace Sanctuary in Stanwood, Wash., is a picturesque meadow farm providing a permanent home for all breeds of rescued pigs. For 17 years, caretaker and Sanctuary founder Judy Woods has maintained and cared for her charges. My husband and I visited Woods on a quiet Sunday afternoon in August. 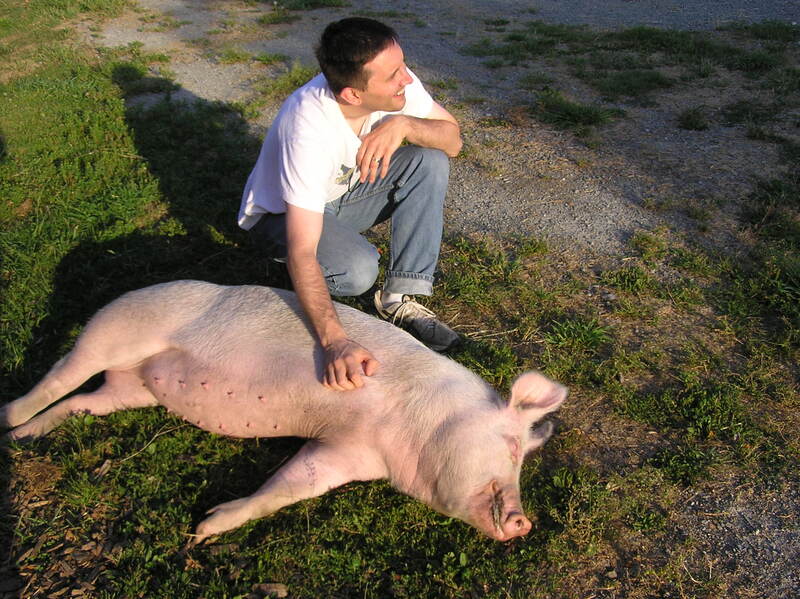 The first two pigs we met were a cross-section of the Sanctuary’s population. Ziggy, a 9-month-old pink Yorkshire pig was brought to the farm sporting only three legs but a great attitude about life. Ziggy was enjoying her private water pond when we arrived, and she hopped up to get her head scratched. She shares her hut with the most recent sanctuary arrival, Boris, a potbellied pig who was victim of blatant neglect in his previous home, leaving him nearly blind and unable to walk. Woods explained his recovery would take time and extensive medical care, but she had seen this happen before. 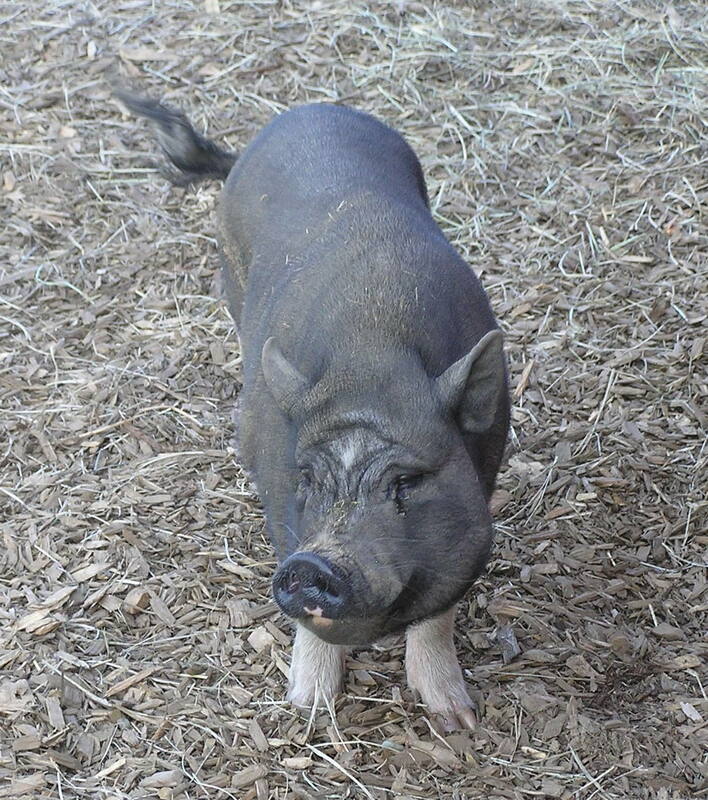 Each of the 191 sanctuary pigs has a special and often-difficult story. Many of the residents are former pet pigs, those sold from pet stores or breeders marketing potbellied pigs as “perfect household pets.” These animals are frequently abandoned, abused or neglected when an apparently unsuspecting individual purchases a piglet and soon discovers they live with a pig who can tear down wallpaper and requires frequent attention, care, exercise and feeding for the next 18 years. But it’s not just pet pigs that find sanctuary here. Pigs Peace is also a permanent home to pigs used for medical research, taken from horrible conditions on factory farms or cast off from the entertainment industry. The flip side of these sad stories is that Woods and supporters of Pigs Peace have made it possible for the animals to live their lives as happy pigs. Each of the pigs has specific piggy friends. Pigs, on a warm summer night, will forgo their cozy, hay-filled barn to camp in the meadow and actually build a small hut for the party. A young couple from Issaquah was also visiting that day. Heather Faoro and her husband said they have always liked pigs, but this was their first opportunity to visit a pig sanctuary. And while the couple doesn’t claim to be vegetarian, Faoro said that she and her husband don’t eat pigs. “It’s hard to bond with these animals and not make that shift,” Faoro said of their decision to stop eating pork. While a visit with the Pigs Peace residents leaves you pondering the ethics of meat consumption, the organization provides a workable solution to this quandary. 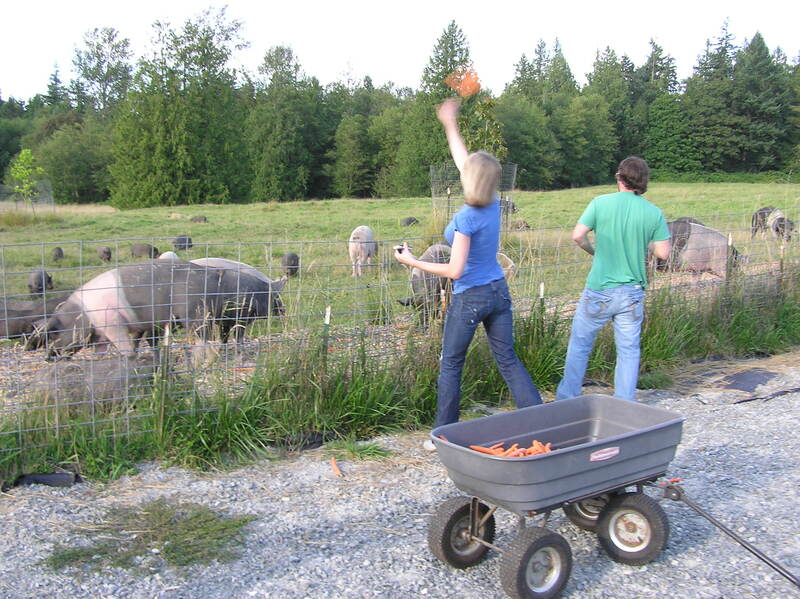 In the heart of Seattle’s University District is an upscale vegan grocery called Sidecar for Pigs Peace. Store manager Doh Driver and her team of volunteer store keepers operate the colorfully displayed grocery offering a wide variety of foodstuffs, including high-quality mock meats, vegan marshmallows and even vegan cat and dog food. Driver says some of the most popular items include a cheese substitute out of Scotland called “Sheese,” and vegan corndogs, a customer favorite. As the sun was setting on our Sunday evening visit to Pigs Peace Sanctuary, Ziggy came out to say goodbye. She had been eating carrots with a fellow pig and was rooting through the grass for the pieces. My husband, Eric, stooped down to scratch her stomach when I witnessed the most potent moment of the evening. While Eric scratched, Ziggy slowly closed her eyes, and the edges of her long snout-covered mouth tipped decidedly upward in an unmistakable smile of deep contentment. While I knew almost nothing of pigs, in that moment, Ziggy told me so much about the beautiful nature of these animals, and the reason we need a sanctuary for pigs. …as long as it happens. Petland, the largest pet store chain in Canada with 37 stores selling puppies and kittens, has announce that it will ‘phase out’ the sale of dogs and cats in its retail outlets. Claiming that this comes because of a supposed ‘change in the way people acquire pets through online sources, the pet store chain has already taken heavy pressure from groups like Actions Speak Louder Calgary to stop selling puppies (Source: Global TV Calgary, Actions Speak Louder Calgary, Winnipeg CTV). In just about every public statement, Petland spokespersons say they always got their dogs from ‘respectable breeders’. While this is not only unlikely, it is also untrue. The Petland chain has frequently been identified as a retailer of puppy mill bred dogs according to investigations by the US Humane Society. Petland follows PJ’s Pet’s (a.k.a Pets Unlimited) (the two largest chains of pet stores in Canada) who recently announced they would stop selling puppies as well. Independent pet stores selling animals and Pet Habitat now look like dinosaurs in the land of ‘enlighten pet stores’. But while Petland claims that they never sourced from industrial breeding farms (i.e. puppy mills and kitten mills), one can’t ignore the incredible pressure that BC Supreme court-backed Richmond puppy sale ban, the proposed Winnipeg puppy sale ban and the excellent work of groups like Actions Speak Louder Calgary have had on public understanding of the shady industry of pet sales. I would suspect (tongue in cheek) that this ‘change in the way people purchase animals’ has a lot to do with people deciding not to support the pet industry at all, and choosing to adopt their pet instead. But as my friend Helen frequently reminded me last year when we worked to prove that our local pets stores were sourcing from puppy mills, as long as the pet stores stop selling dogs and cats (and other animals too), then the positive outcome will have been achieved. So power to the pet stores who choose the path to be a bit more humane. We don’t care how you happen to stop selling animals, … as long as it happens. While animal welfare doesn’t get the media coverage that say sports and business events get in every dose of news broadcast, it’s really nice to see my local NPR station covering the activities of animal welfare activists. Check out this article on KPLU.